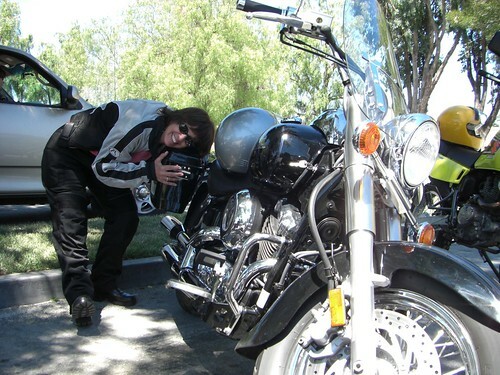 Saturday was our monthly Wind Dancers start-at-Starbucks-go-wherever-we-feel-like ride. We had a nice small group: myself, Jenny, Prue, and a new member named Charlotte. 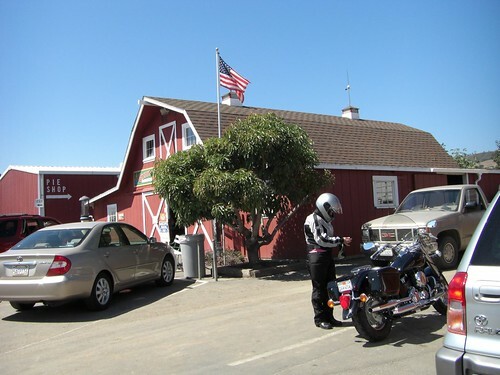 We decided to head vaguely southeast and hit some backroads before winding up at a wonderful berry farm in Watsonville. 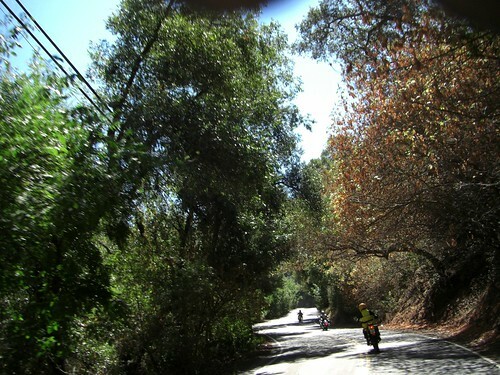 After some boring and trafficked city streets in San Jose, we wound up on Shannon Road, a nice small back road right off of Los Gatos Blvd in, well, Los Gatos. It started out residential and became twistier and tighter as we approached Hicks Road. One optimistic family was hauling a huge moving trailer around the corners, causing a brief moment of distress when they encountered a horse trailer truck coming the other direction. Fortunately everyone got through without falling into the roadside creek. 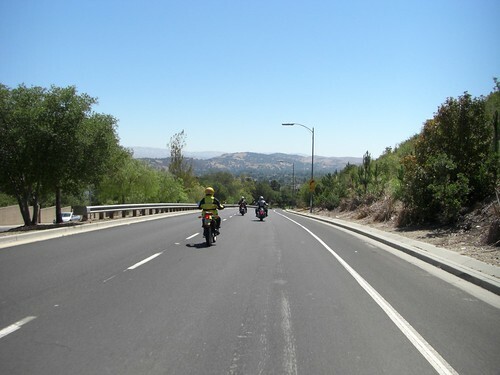 We hopped on Hicks Road for a brief time, where we then met up with Camden Road and headed towards New Almaden. 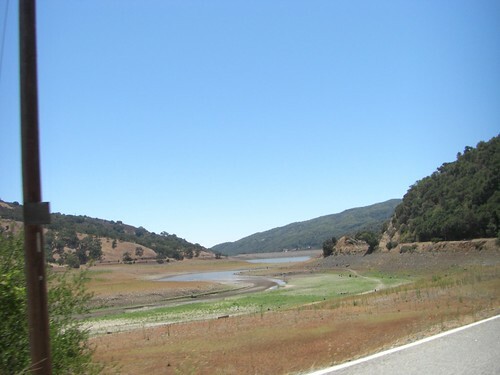 From Camden, we turned right onto Harry then immediately left onto McKean, and took McKean (which turns into Uvas Road) past the Calero, Chesbro, and Uvas Reservoirs. At Watsonville Road, we turned right and then left onto Day Road. 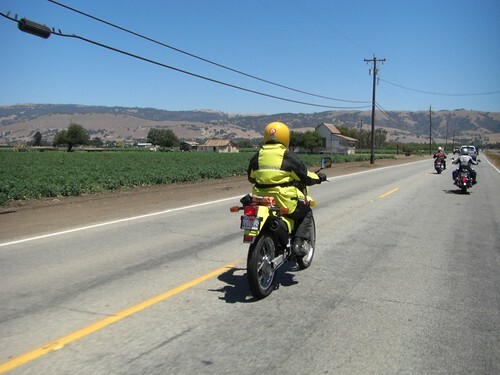 We passed quite a few farms on our way into Gilroy — bright green against the dry brown hills. The air smelled strongly of garlic and spinach. We stopped briefly at the Gilroy Visitors Bureau on Monterey Street to pick up a farm map. This awesome map lists all of the major produce ranches and when certain fruits and vegetables are in season. Definitely a keeper! From Monterey Street, we went east on Leavesley Road towards the hills. 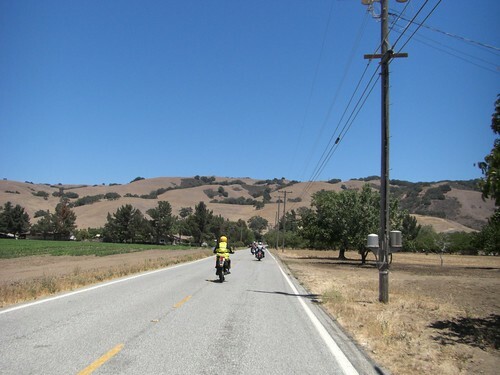 There’s a great loop that goes like: Leavesley — Roop Road — Gilroy Hot Springs Road — CaÃ±ada Road — Ferguson Road — back to Leavesley. 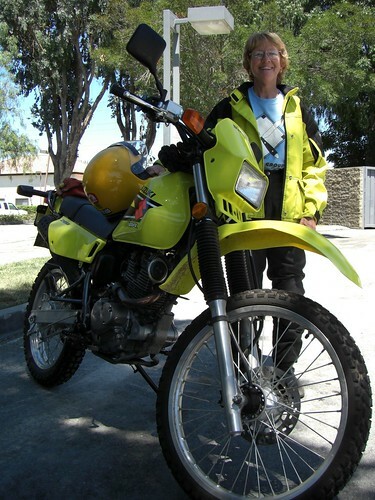 It was a wonderful loop amongst both wide-open ranchlands and shaded ferny glades. 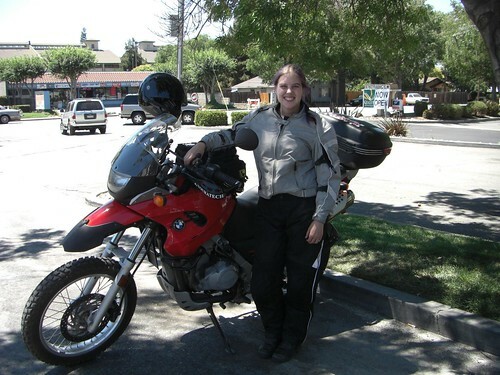 Jenny unfortunately had to take off from here, so we waved goodbye as she pulled onto northbound Highway 101. 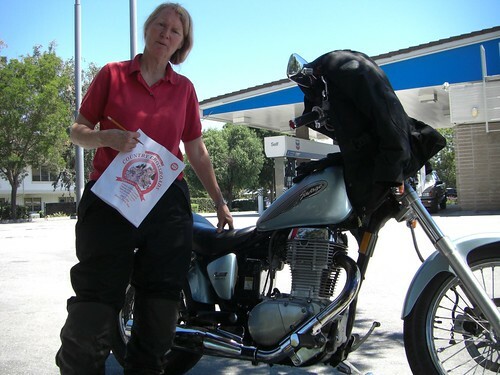 Prue, Charlotte, and I continued onto west Hwy 152, also known near Gilroy as Hecker Pass Road. 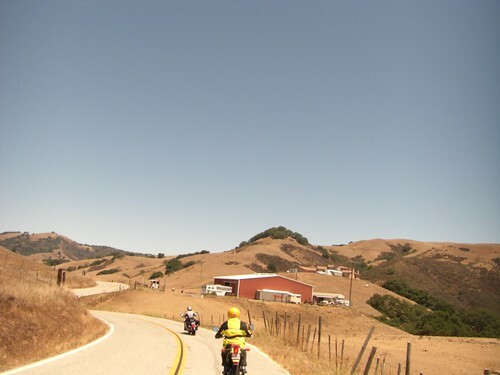 It was nicely — and surprisingly — lightly trafficked, which made for a fun ascent and an even better descent down into Watsonville. We’d been pretty warm over in Gilroy and it cooled off significantly as we crested Mt Madonna. No more dry barren hills; Mt Madonna is pine and eucalyptus all the way. To get to Gizdich Ranch from westbound 152, you turn left onto Carlton and then left onto Peckham. 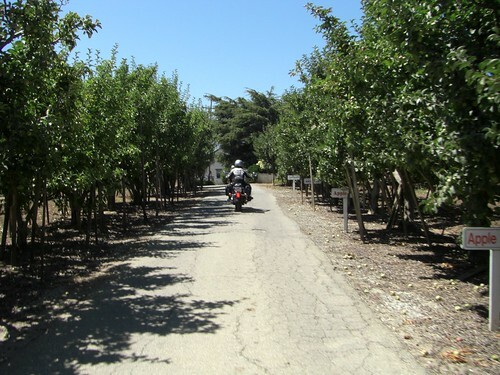 We rode along a teensy one-way access road to the ranch, surrounded by apple trees. 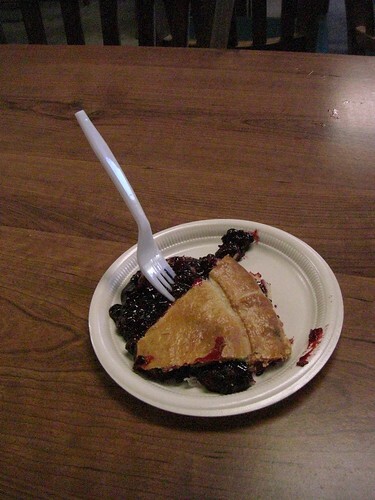 The highlight of Gizdich Ranch this time of year is the berry pie. Prue and I had olallieberry slices and Charlotte had blackberry. Warm, squishy, and tasty! 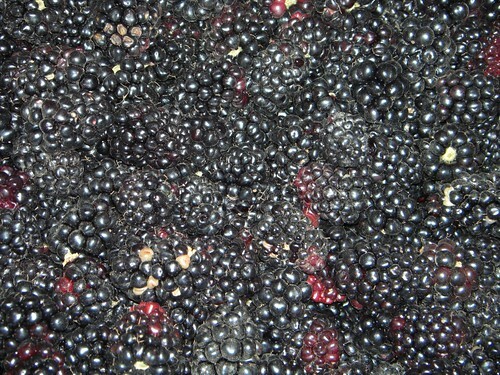 I also picked up a pint of raspberries and a pint of blackberries to bring home. Thank goodness for tailbags! After pie, it was time to head home. 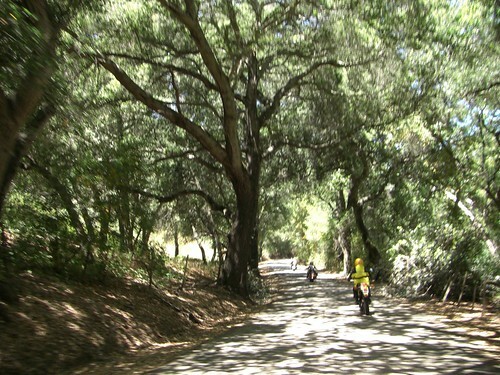 We continued back to Hwy 152, which meets up with Highway 1. 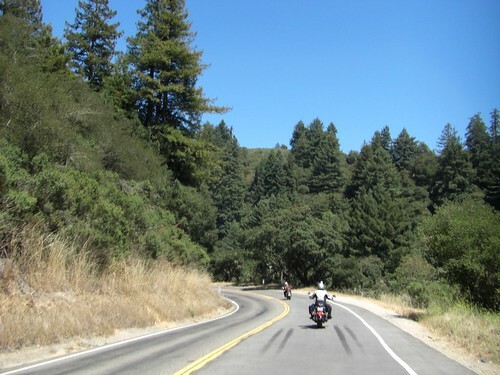 We took the freeway into Soquel, where we exited onto Soquel-San Jose Road and headed north to the summit of the Santa Cruz Mountains. From Summit Road, we went west to Hwy 17 and north back into the valley. All together, the ride was about 140 miles and was a great local ride!